Geelong Concrete Pumping are Victoria’s most trusted concrete pumping service. If you’re looking to hire a concrete pump in Melbourne, Geelong, Ballarat, Bendigo or elsewhere, we’re the go-to guys. With over 35 years’ experience, we have the gear and the skills to get your concrete pump hire job done on time and on budget. Personalised service, top quality work and consistency is why we have a large repeat customer base. Our team that offers a range of competencies, along with our fleet of modern concrete pumps for hire, enables us to provide you with the expertise for any concrete pumping job. 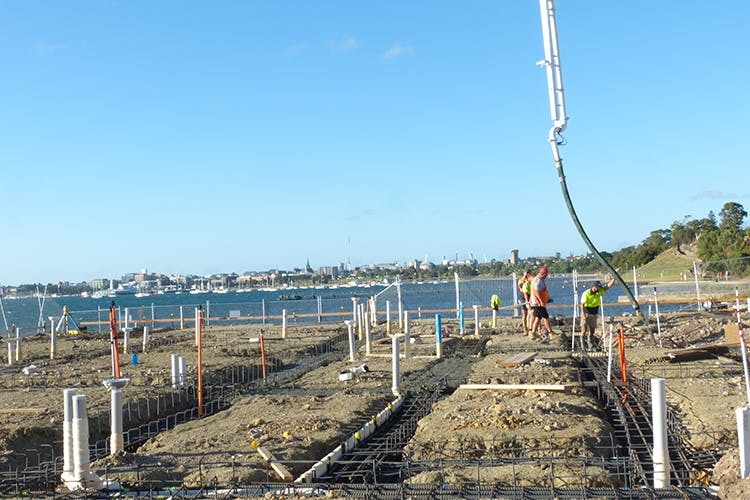 Whatever your project, Geelong Concrete Pumping has the knowledge and the machines to get your job done efficiently and accurately. We cover every aspect of concrete pumping from smaller residential and domestic concrete pumping tasks to larger civil, commercial, and multi-level building construction jobs. Our concrete pumps are offered on dry hire and wet hire. Many of our clients prefer our concrete line pumps on wet hire as our operators are among the best of the best. No job is too difficult for the Geelong Concrete Pumping crew. We regularly take on challenging projects and our experienced operators are able to deliver quality work on even the most difficult of tasks. Available to hire across Victoria is a fleet of modern and well maintained concrete line pumps, boom pumps and shotcrete pumps. We are based in Geelong and can easily mobile our gear to Melbourne and surrounding areas. Our concrete pumps for hire are also offered state-wide including Ballarat and Bendigo for longer term projects. 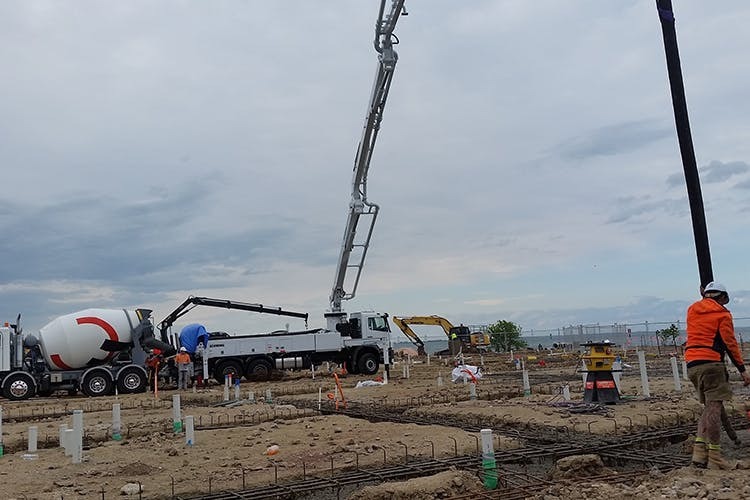 If you’re after the right concrete pump along with a skilled operator to get your concrete pumping job finished on a deadline and within budget, the Geelong Concrete Pumping team can do it. We’ll get your project completed to impeccable standards. We are Victoria’s concrete pumping specialists servicing Geelong, Ballarat, Melbourne, Bendigo and afar. For great concrete pump hire rates – call us today!